If you’ve seen “Pride and Prejudice and Zombies” (I’m talking film, not the book), you’ll get where I’m coming from with this review. Both that film and this book take the ridiculous scope of these characters’ goals and motivations and make them ten times more outlandish by placing the characters in crazy circumstances. Zombies eating everybody? Check, but wait, I must find a suitable husband – lest the zombies eat my face off. Pride and Prejudice meets 10 Things I Hate About You? Check. Cruz has crafted a cute rom-com like book with the main beats of the beloved classic, and it’s fabulous. 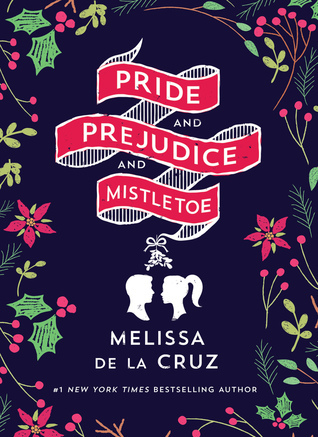 Pride and Prejudice and Mistletoe has not only gender bent Mr. Darcy and Elizabeth, but has also created a lighthearted, fun, and creative romance. Rather than sticking to the story we know, Cruz has re-imagined it with her own twists and turns and it turned out pretty darn good. If you’re a huge fan/stickler for the original, you probably won’t like this unless you can separate it in your head. You can’t read this and think Pride and Prejudice, you have to read it and think it’s Hallmark movie based on Pride and Prejudice. It’s great, it’s entertaining, and it’s fun – but it’s not the original, and I think that is what makes this a great retelling. I love anything that has to do with Pride and Prejudice. So this is definitely one I am going to be picking up ASAP 🙂 Great review!